Eyewitness News Investigator David Hammer started looking into reports of problems with local school buses and it turned into much more. NEW ORLEANS — In late 2018, Eyewitness Investigator David Hammer began checking into complaints about school bus operations, the conditions of buses and the status of the drivers. What he found led the New Orleans City Council to seize control of school bus inspections and licensing. And his stories raised more questions about other problems, such as allegations of a rigged contract, falsified insurance documents, changing of public records and grade-fixing, leading state and local authorities to investigate. 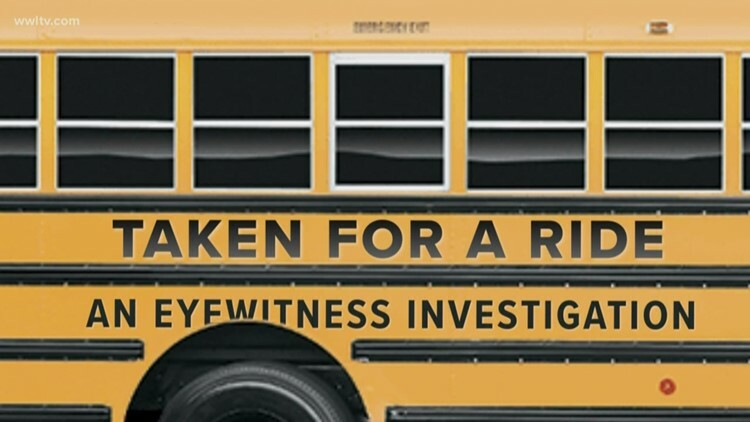 - Taken for a Ride: How safe are charter school buses?